People who enjoy historical paintings will certainly be familiar with this one! 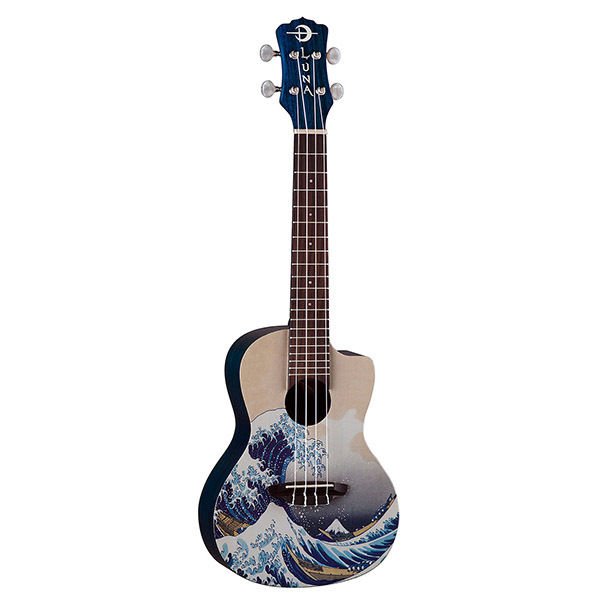 The Great Wave off Kanagawa (1830-1833), also known as The Great Wave is a woodblock print by the Japanese artist Hokusai. Copies of the print are in many collections, including the Metropolitan Museum of Art in New York City and The British Museum in London. 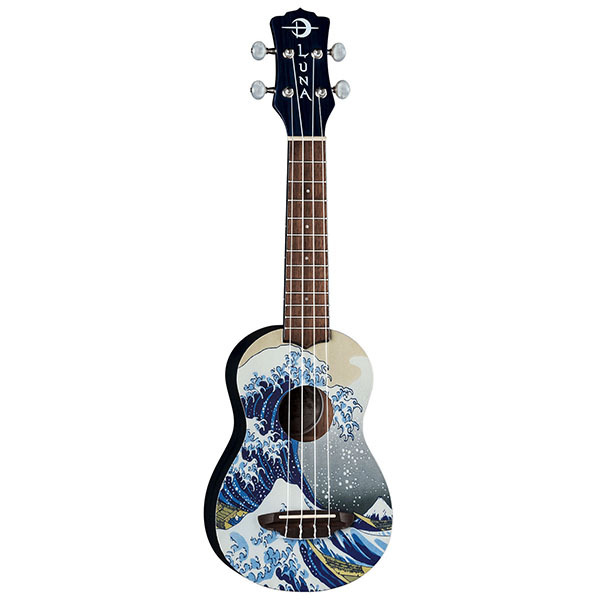 Featured on the front of Luna's 21" Great Wave Soprano and 23" Great Wave Concert, this masterpiece can now be in your own personal ukulele collection!